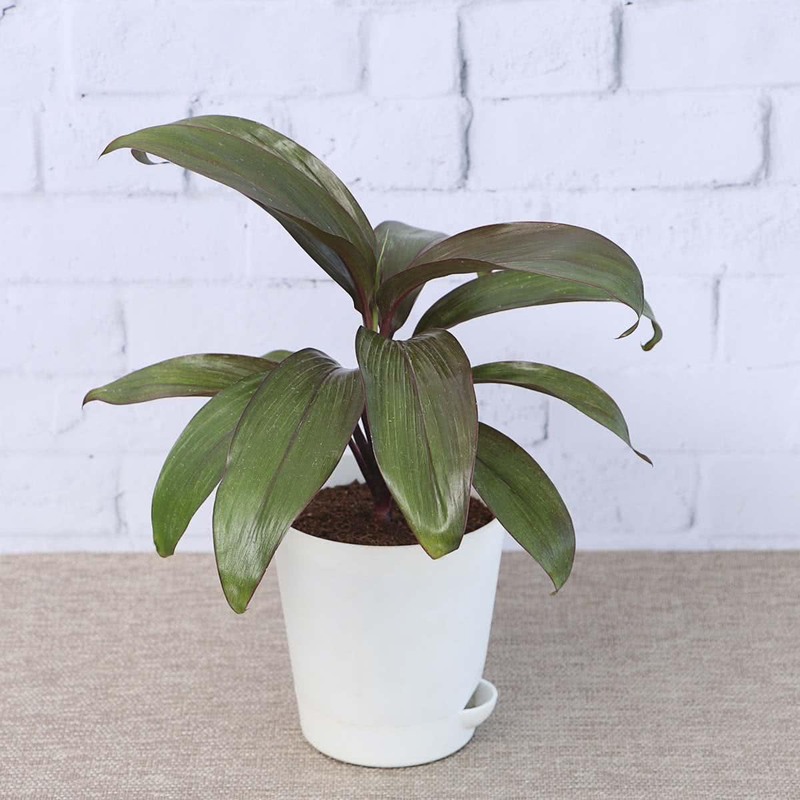 Plant Description: Extremely beautiful Dracaena Red Ruby is a dwarf plant with narrow, concave, gracefully recurved leaves. The deep metallic green foliage grows with a red border. Its leaves develop rich red coloured when exposed to sunlight. Suitable for both outdoor and indoor arrangement Dracaena Red Ruby is an excellent plant for containers. Growth Rate: Slow growing. The plant grows straight. Potting/Transplanting: The pot selected must have proper drainage holes. To prevent water logging, cover the drainage holes with broken pieces of earthen pots or brick pieces before putting the soil. Transplant the Dracaena sapling in a pot along with root-ball of original soil. Carefully place the plant in the middle of the pot & cover the roots completely with remaining soil. Repotting: Repotting of Dracaena plant should be done every year; especially when the plant has grown too tall, has become extra root bound, oversized as compared to the old pot. Sunlight: Dracaenas need plenty of diffused sunlight. You need to provide good light (2-3 hours) when indoors to maintain foliage color. Plants don't mind low light conditions. Do not keep the plant under direct sunlight in summers. Water: Dracaenas need sufficient water supply. Allow dracaenas to dry slightly between watering. Wait until the soil surface is dry when touched, and then water them thoroughly. Avoid watering with cold water. Spraying clear water on foliage is beneficial for the plant. 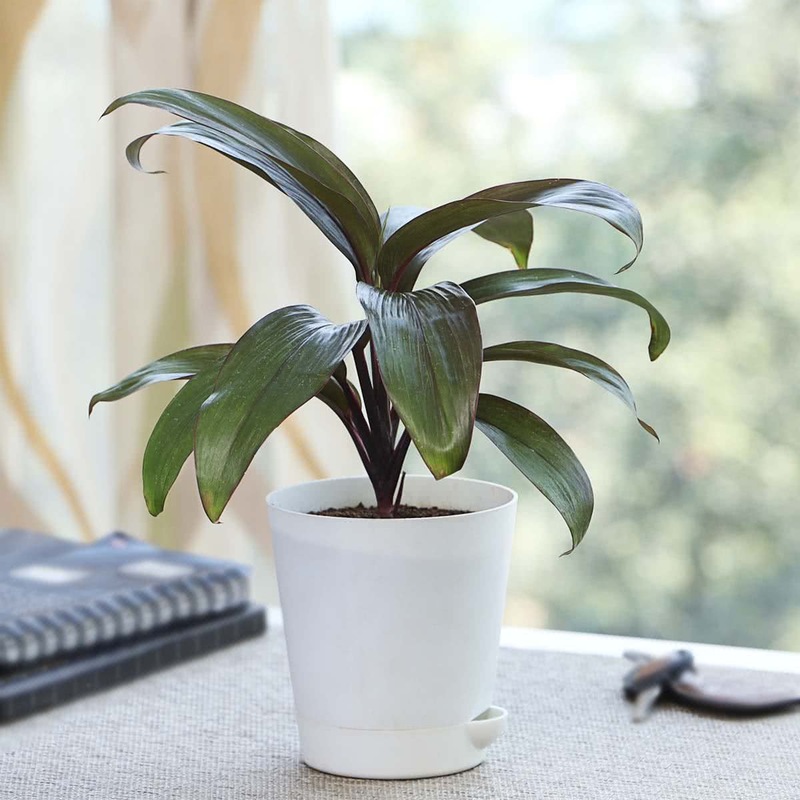 Fertiliser: The dracaena plant likes rich compost mixed with little limestone powder, which promotes color development. Temperature: Dracaenas grow best in 20-30 degree Celsius during the day. They can tolerate low temperature too. Humidity: Dracaenas grow well in hot & humid climate; however they can also tolerate conditions with low humidity. Plants will profit from an occasional misting of their foliage. 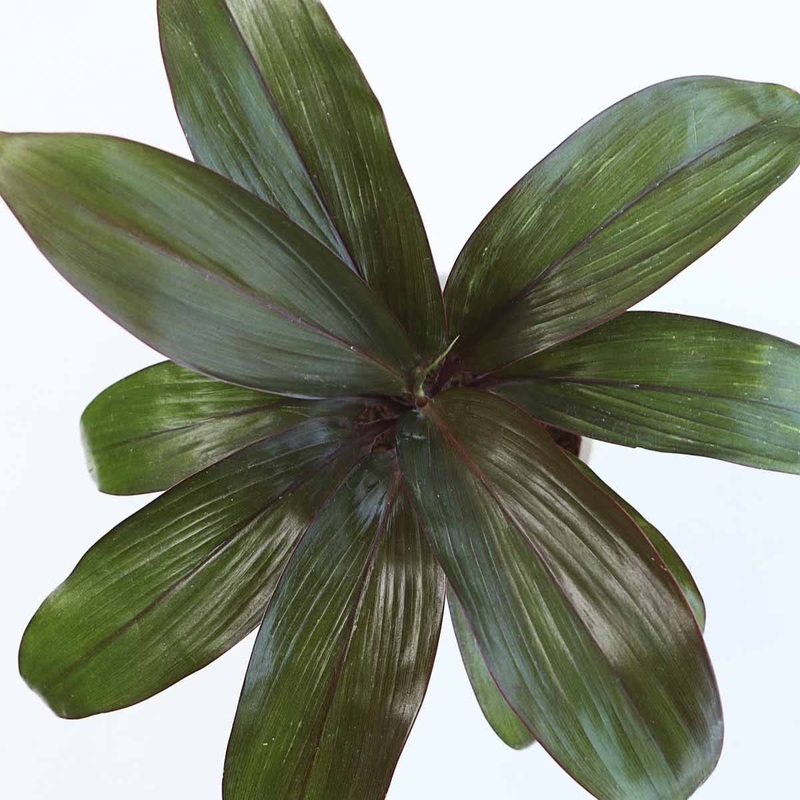 Propagation: Dracaena is propagated air layering or nodal/ terminal cuttings of canes. Very dark read coloured erect stems & leaves.